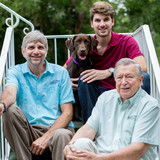 For homeowners in Central Florida, Ability Wood Flooring is the ultimate flooring resource because only Ability Wood Flooring offers an array of flooring products and installation options that is paired with a 65-year commitment to integrity, quality, and reliability—now, and for generations to come. Welcome to Modern Floors & Shutters Modern Floorz & Shutters is Kissimmee's premier Carpet & Flooring boutique, we are proud to provide our customers with a quality shopping experience and personalized customer service. We provide free estimates and offer special financing. We do all kinds of Flooring, bathroom remodels, kitchen backsplash, fire places, accent walls and window fashions. Our products range from entry level to mid-high end. Our showroom is stocked with hundreds of Carpet and Flooring choices, and a wide selection of window treatments to fit your lifestyle and budget. Our Carpet choices range from Berbers, Textures, Plush and Patterns, We offer engineered Woods and Solids, our Laminates and Luxury vinyls come in all types of plank sizes and tile pattern. We offer a large selection of Tile, including Ceramic, Porcelain, Stone and Glass, and at last but not least our Window Fashions will give your home that final touch of perfection We are your one stop shopping solution. Our manufactures include Shaw, Mohawk, Beaulieu, Kane, Coretec, Waterville, Tesoro, Happy Floors, Stone access, TK, Blue cross, American Olean, Dal-tile, HARO, Celenio, Norman, Skandia, Extra, Johnson and much more! Call us today to set up a free estimate! The cornerstone of the Carpet Source of Winter Park approach includes a unique blend of product, value, and unparalleled customer service. A combination we perfected. Our focus is hi-end homes and yachts. Founded by Juan C. Jorge and James Fuss over 30 years ago, The Carpet Source Brand boasts an eclectic array of luxury carpeting, area rugs, and fine wood flooring that will enhance the decorative vision of any space. After serving South Florida for nearly 14 years, CSOWP Owner and President Louis Tarantino relocated to Winter Park with his family to better focus on his Central Florida design clients. Featuring a beautiful, gallery-style designer showroom, CSOWP offers clients numerous options. Staying true to the principle of offering the best value for your dollar, Carpet Source strives to ensure all projects are handled personally and flawlessly. AB Floors & Restoration specializes in hardwood flooring installation and restoration for residential customers in Central Florida. We also serve commercial customers with carpet, tile and laminate flooring projects.If you’re staring at a water-damaged hardwood floor or a wood floor that’s buckling, you just want to get it fixed! Dealing on your own with your insurance company to fix water damage takes time, and you’re not a flooring expert! Wouldn’t it be great to get help from a knowledgeable source? We make a messy process less stressful for you. At A.B. Floors, we offer competitive prices and the best installation for hardwood flooring in Orlando. We sell high-quality noise-reducing underlayment, and our installation system reduces dust by up to 50%. Our professionals will work with you every step of the way to ensure you are completely satisfied. 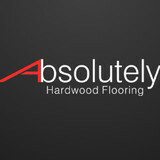 Call the best wood flooring experts in Orlando at 407-513-4787 for a free estimate and find out why A.B. Floors is tops in hardwood floor installation. At A.B. Floors we will make sure we exceed your expectations! Are you thinking of remodeling your home or building a new one? Then you’ve come to the right place! At Floor to Ceiling, we serve Central Florida with all you’ll ever need to remodel or build your dream kitchen and bathrooms. From tile and wood flooring to cabinets, countertops, bathtubs, and lighting, we do it all! Visit our showroom in Winter Garden, Florida today to view our wide variety of bathroom and kitchen remodeling products. Not sure where to start? Our expert designers will help you get your ideas flowing. When you choose Floor to Ceiling, the possibilities for your home are endless. *Authorized Fieldstone Cabinetry Dealer* J&J Carpet One Floor & Home is part of the largest cooperative of independent private dealerships in the world, but prides themselves on being a hometown business. Their store is one of approximately 1,200 Carpet One stores located in the United States and Canada but has been serving local homeowners and business’s in the Brevard County community for nearly twenty seven years. J&J Carpet One first opened their doors in 1987, and quickly became one of the most well known flooring retailers around Brevard County. In 2008, J&J launched the cabinetry shop and has since expanded their services into a full design and renovation business for your entire home. With a team of talented, experienced and knowledgeable designers and a showroom that features the top brands in flooring, cabinetry, countertops and hardware, J&J will take your dream renovation to reality. At E-Pro-Floors we want to make choosing floor coverings an easy and affordable experience for our customers. Whether you are looking for Hardwood Flooring, Carpet, Vinyl or Laminate Flooring, E-Pro Floors offers a fantastic range of styles, colors, and textures to compliment any situation... whether you are looking for flooring for your home or office. Install stylish and colorful floor coverings at your budget in Winter Park. Italian Tile Imports has been serving Ocala and the surrounding areas including The Villages, Florida for over 25 years. You are invited to visit our showroom in Ocala. FL where we stock thousands of square feet of tile for every budget as well as offer all of the latest trends in flooring, bathroom and other areas of hard surface design. Floors Direct is a family owned and operated floor covering company serving South-East Florida since 1995. Our unmatched customer service and diverse product selection has allowed us to continue to serve our community and our repeat customer base. We pride ourselves on excellent customer service and evolving with the latest trends and demands of the flooring industry. Floors Direct has three convenient locations serving the Melbourne, Stuart, and Plantation, Florida areas. With one of the largest selections of in-stock merchandise our full-service flooring showrooms remain unmatched on value and variety. We are sure to have the right product to fulfill your flooring needs - Whether it is tile, laminate, wood, waterproof flooring, luxury vinyl or carpet; Floors Direct provides the best overall service, pricing, and installations. Our first priority at Floors Direct is customer satisfaction. Our flooring specialists are invested in helping you find the flooring of your dreams and ensuring that your flooring selection is the right investment for your space and/or family. *Authorized Mohawk Dealer* Great Lakes Carpet & Tile is a family owned and operated specialty floor covering business serving the Central Florida area since 1991. The company got its beginning when Joe and Laverne Hearns opened a retail store in a small town in Northern Michigan where they continued to serve the local community there until 1989 at which time they retired to the Orlando, Florida area. After enjoying a short time in retirement Joe and Laverne were offered an opportunity to get back into the business in 1991 and opened a store in The Villages, Florida. They initially concentrated on the new home construction market but later saw a need for a retail storefront. After the passing of Joe in 1998, Darren Hearns took over as President. Today the company has grown from one location into four retail locations which all feature the Mohawk Floorscapes concept. Great Lakes offers a full line of floor covering including carpet, area rugs, sheet vinyl, laminate, hardwood, cork, bamboo, ceramic tile and brick pavers. In addition to their retail operation and new home construction business, Great Lakes also has a separate Commercial Division as well as a Carpet Cleaning Division using the Mohawk Floor Care System. Seeing the need to further diversify in January 2010, Great Lakes added granite countertops, cabinets, and plumbing fixtures to their offerings in an effort to take advantage of the kitchen and bathroom remodeling business by offering a complete package. Great Lakes has been recognized in recent years by Floor Covering Weekly as one of the Top 50 specialty retail dealers in the country with the highest ranking of 35th in 2007. They have also been nominated as Mohawk Floorscapes Dealer of the Year (3) times since joining the program in 2000 and have the distinct honor of winning the National Award in 2001. Britannia Flooring has been proudly serving the Central Florida area since 2000. We pride ourselves on providing the finest quality flooring design, materials and installation. With our team of international craftsman and your custom design, Britannia continues to thrive on exceeding your expectations. 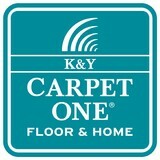 We offer a wide array of options in carpet, wood, and tile for your selection. Our company founder, Sean New, originally hales from Great Britain where he began his extensive career with a four year apprenticeship in London. He then worked on new construction for more than twelve years. During this period, he became proficient with working to the Quality Assurance System BS5750 (U.S equivalent ISO 9000). He moved to Central Florida in 1994, and in 2000, he founded Britannia Services, which initially specialized in apartment buildings. He then parlayed Britannia into a valuable resource for commercial projects such as resorts, and additionally for new construction high end homes, and remodeled homes. If you are looking to install new carpet and flooring for your dream home, give us a call at (407) 629-9885 or click the "Contact Me" button to send us a message. We look forward to working with you! What kinds of services do hardwood flooring installation professionals in Orlando, FL provide? Find hardwood floor experts in Orlando, FL on Houzz. Search the Professionals section for Orlando, FL hardwood flooring installers and dealers or browse Orlando, FL photos of completed installations and look for the professional’s contact information.